When a company integrates a new machine into their operation, they expect increased productivity in their throughput with improved quality. 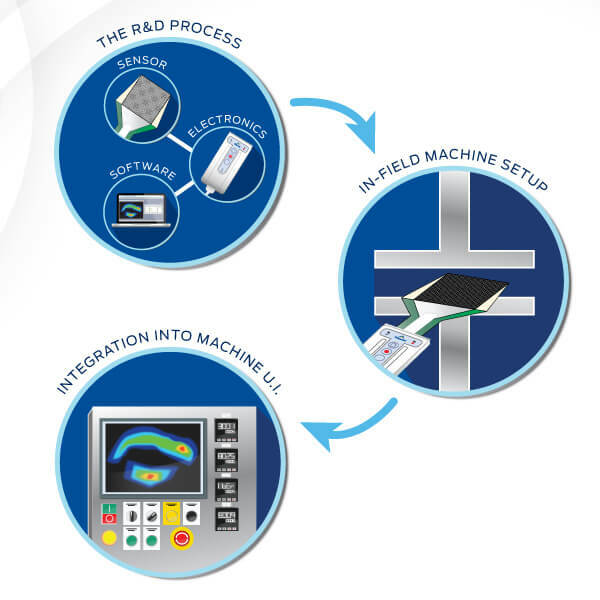 "Smart" machines that produce a quality product with minimal variation often have embedded applications that help to streamline the machine setup process, whether through a feature that allows the operator to make on-the-fly adjustments, or other systems that alert the operator when production goes awry. While its roots are in R&D, integrating pressure mapping technology into your machine's design can become a game-changing application to win customers over with a superior end-user experience. Integrating pressure mapping technology into an ultrasonic welding machine UI, as shown above, can provide real-time pressure data that helps ensure an optimal production run. Pressure mapping technology helps design engineers understand what is happening between two surfaces in the machine, providing key insight for optimal machine setup and design. However, the benefits of pressure mapping technology extend far beyond the R&D lab. Depending on your place in the three-phase process to complete pressure mapping integration, there are different products or systems that are recommended to accomplish your needs. 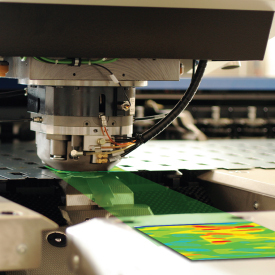 Initial investment in Tekscan's I-Scan™ system to verify and improve the repeatability of your machine process. Gain insight into how your machine could be setup for optimal performance. Next, equip your field service team with I-Scan systems so they can service your customers by providing them with a guaranteed setup that is backed up by quality data. Finally, integrating I-Scan technology into a machine's U.I. with our SDK ensures proper setup, and results in higher customer confidence. Not only will your customers see the value in investing your advanced machine, your credibility as an innovative manufacturer will also rise. Watch the video below to see how one machine manufacturing company solved two unique machine alignment challenges with pressure mapping technology. This eBook focuses on how to integrate interface pressure measurement, also known as pressure mapping technology, to achieve optimal machine design. Discover how pressure mapping technology can be used for in-field machine alignment services, or as an embedded feature within a machine design. 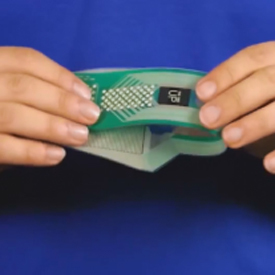 Want to know how our pressure mapping sensors are made, and how they work? 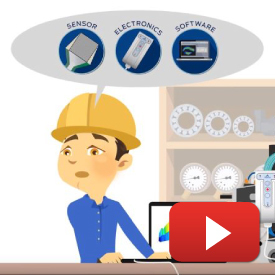 This short video provides a visual overview of Tekscan's pressure mapping sensor technology.